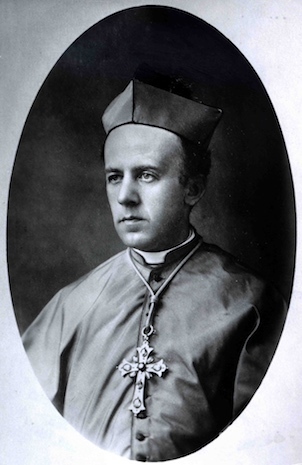 During the time of Bishop Otto Zardetti, parishes of the diocese were isolated in small pockets, often by nationality. Most settlers in the diocese were German or from German-speaking countries, but there were also Polish, French-Canadian and Irish settlers. As the first ordinary of the Diocese of St. Cloud, Bishop Zardetti focused on creating the identity of the diocese and uniting the isolated parishes. He established his leadership team (curia) and worked tirelessly to find new priests for his growing diocese. The poor financial health of the diocese was one of Bishop Zardetti’s biggest challenges. The settlers of the American frontier lived in poverty, often struggling to provide food and shelter for their families. Despite the poverty of much of the Catholic faithful, the churches and schools of the diocese in the late 1880s were created by the hard work and sacrifice of local communities.